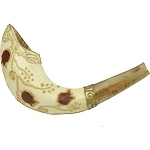 This huge hand-painted Shofar is a traditional item with a twist. 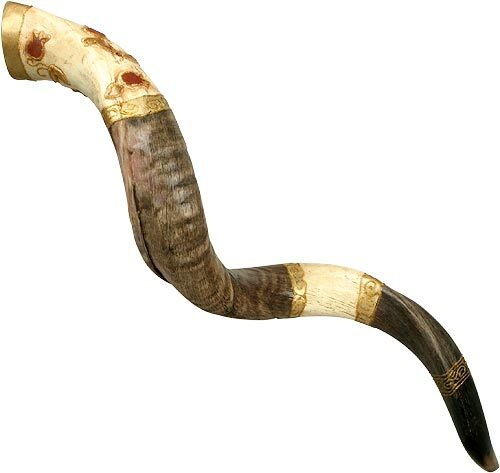 When you take this Kosher Yemenite Shofar into your hands and close your eyes, you'll feel like you're standing at the Walls of Jericho. The top features a wide band of gold illustrated with ripe red pomegranates outlined in glittering gold. A creative combination of the ancient and the modern from Israel! Size: 106- 114 cm / 42- 45 inch.